I wonder if our beloved 357 Maximum will still work, lol. Just think of all the new .35" cal component bullets it might inspire for the Maxi! 265 grain Open Tip. I want to know where to get the bullets. At 1.710" case length it will work. The 357AR I've been running is very similar. 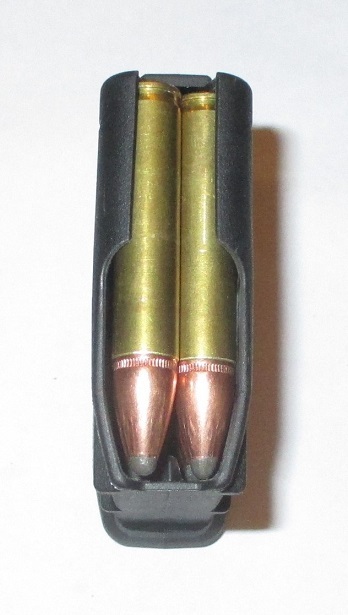 We've been seating the bullets out further in the 1.6" long cases to gain case capacity at the max COL of a Pmag. Take a look at this pic and just imagine the case going slightly past the cannelure. I love the idea! I hope it takes off like wildfire! I would love to own a lever and a pump in something similar to a357maxi! I love any and all 35 calibers. I’m excited to see more of this one, especially in a pump, lever, or bolt action. Isn't it a 9mm instead of .358"? If so, bad mistake bullet wise! Winchester says .357" bullet diameter. Bullets measuring .358" will work fine too. 1077 Attachment(s) He fits the role.